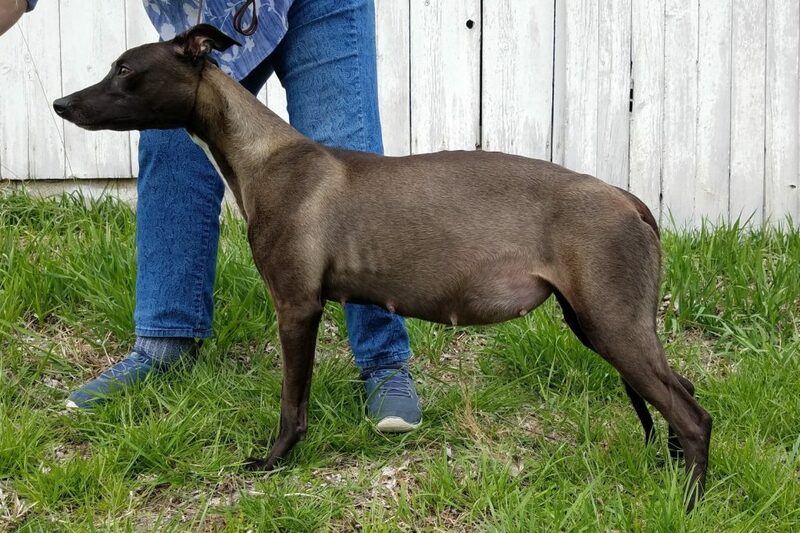 Click here to see the photo pedigree of this exciting litter! 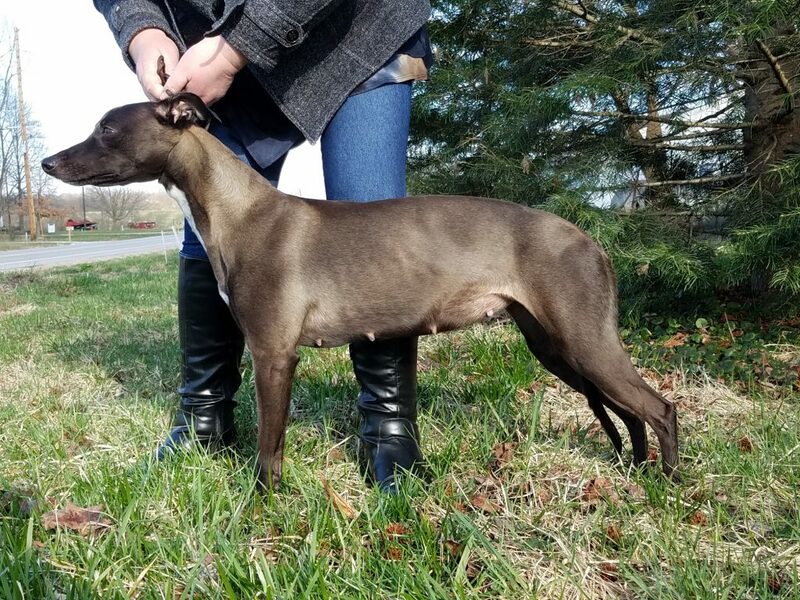 AJ is truly a “Once in a Lifetime” dog, and Bill and I are extremely grateful and excited to be adding him to our Longrun family in this pairing with Jasmine. 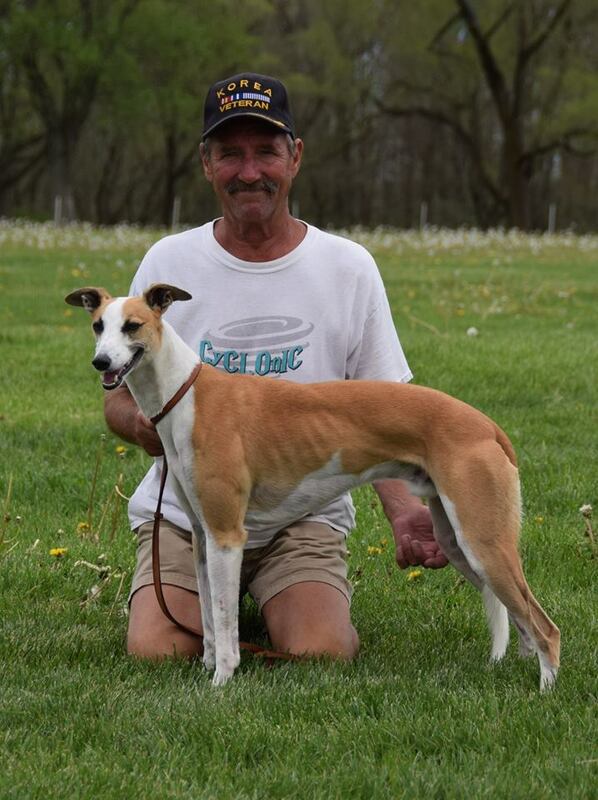 A 2-time WRA National Champion, AJ is a member of a very small group in the history of whippet racing. 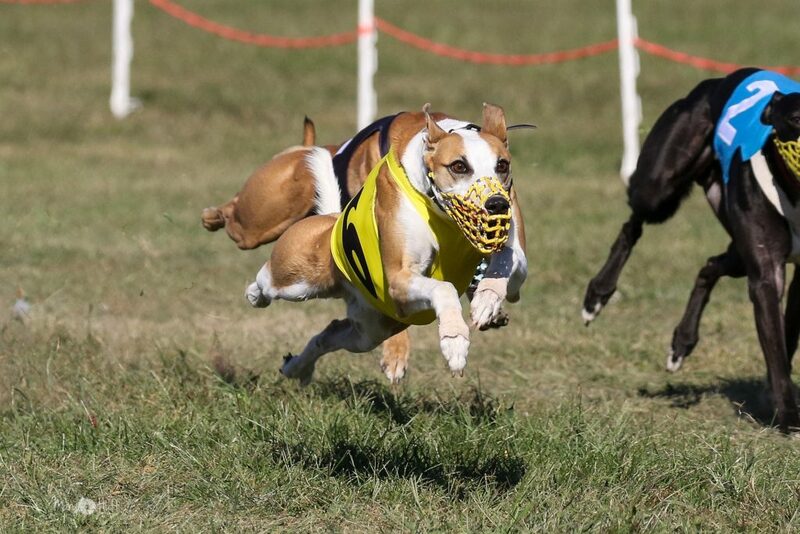 Not only is he a fast and keen racer, he’s also a gorgeous dog, and even better: he’s a wonderful companion. AJ was bred by Kathy Fishburn, and is owned and loved by Daryl and Rita Schuerman – some of the nicest people you could ever hope to meet. Jasmine is a special girl, and she knows it! She wrapped us around her little paws as a baby puppy, and we’re still firmly entangled. 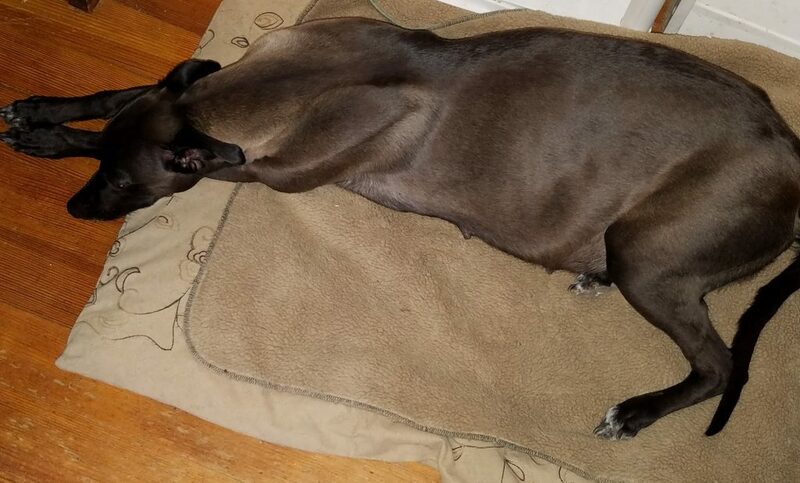 This beautiful seal-colored girl has given us much to be proud of. 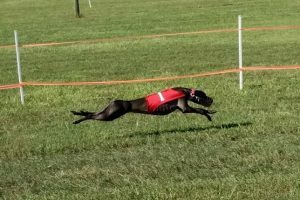 A multiple Fun Match winner, including a huge WRA National Fun Match, she has proven herself to be not just another pretty face by earning her Whippet Racing Championship. This title takes speed and brains, and for a girl, timing can be a problem – especially the timing of heat cycles. Poor Jas missed many racing weekends due to being in heat or in the dreaded post-heat slump, but when she was finally able to race for several weekends, the points came. 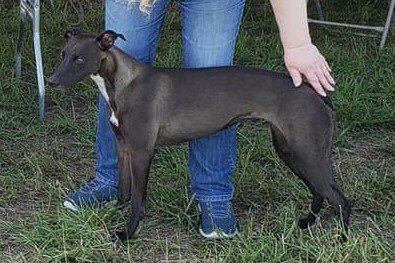 She is our first racing Champion here at Longrun! 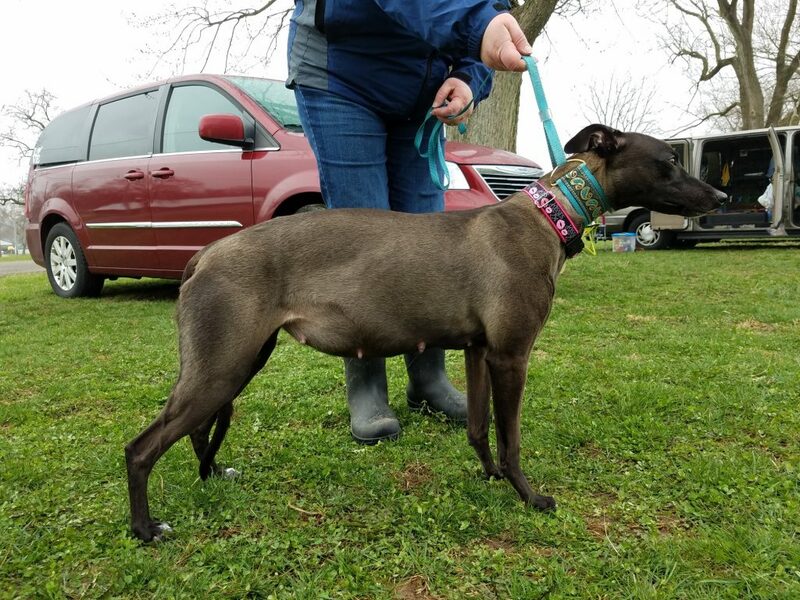 In addition to racing, Jasmine is also a champion snuggler, and an all-around wonderful girl. She makes us smile every day! 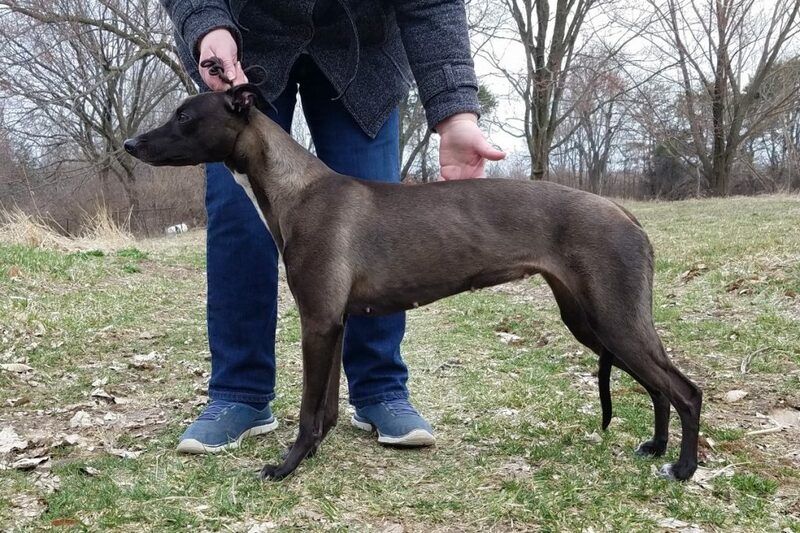 Jasmin’s first litter of 9 delightful pups, by Windwalker Okemos, is now just over 18 months old, and looking good. 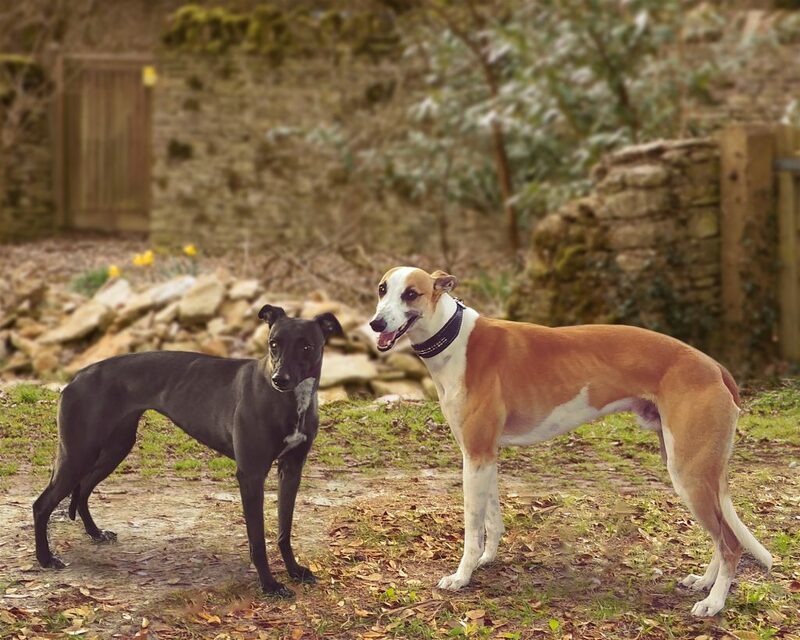 We’re anxious to meet her second litter and watch them grow into the wonderful whippets we’re sure they will be! Jasmine is BAER (hearing), OFA Eyes, and OFA Cardiac (echo) normal. Jasmine can fly, too, in beautiful style! 4/13/19 Poor Jasmine! She’ll be so relieved when the puppies are on the outside!